Universal screw thread at the bottom for attaching this bracket to any regular sized tripod and monopod. The Tripod Mount is small enough to travel with you wherever life takes you. Included: 1 x U Clip Mount Bracket Holder. [ BLACK ] Rotating dashboard mount for all devices iPod Sat Nav Phones etc. Steel Ball Magnetic Phone Socket features a powerful neodymium magnet and silicon centre to provide a strong grip and smooth glide. Function car holder for car air vent. Easy to install to car air vent. the strong magnet absords the phone strongly. Suitable for all cellphone and most of the air vent. Type Magnetic. 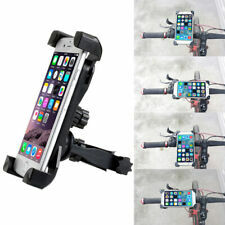 1x car phone holder. Non-slip feet, keep your cellphone in holder steadily. Works in Desk Bracket,all cars and other occasions, easy to use. Type: Privity Finger Ring Holder. 4 PCS Finger Ring Holder Stand. Material: Zinc Alloy. Requiring no screws or fixings, the magnetic Smartphone holder simply attaches to your car's air vent with a strong rubber grip. This ingenious product gives a simple and easy solution to attaching your Smartphone to a vehicle's air vent.